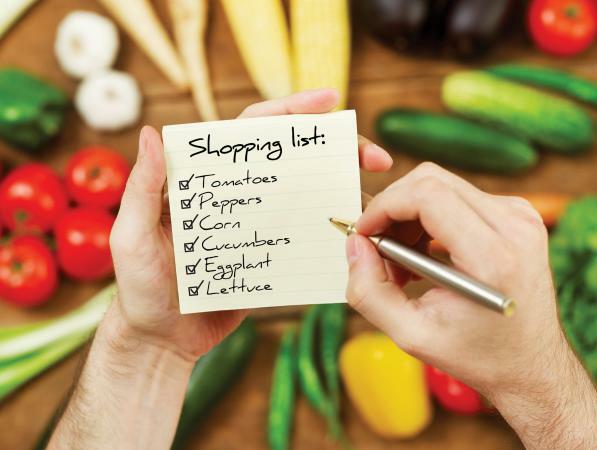 When making your own vegetarian shopping list, it's helpful to have an all-inclusive master list to use as a guide. Whether you're a seasoned vegetarian dieter or simply thinking about becoming a vegetarian, you might be surprised to see how many vegetarian food items there are to choose from. Below you'll find a printable sample shopping list, as well as a list you can customize for yourself. Click to download. If you need help, consult the Guide for Adobe Printables. These categories are mainly divided by food group for ease of use and to ensure a well-balanced diet with additional categories of condiments, seasonings, and baking items to round out the list. Include foods you normally eat that are vegetarian (for example: add your favorite fruits, veggies, protein foods, and vegetarian breakfast items). Decide which type of vegetarian you are. If you're going to follow a vegan diet, eliminate all animal food items (even eggs and dairy foods) from your list. If you're a lacto ovo vegetarian, you can include eggs and dairy. Look at the master list and add vegetarian foods you'd like to try. Include vegetarian recipe ingredients you'll use for cooking and baking (use your favorite vegetarian recipes to add ingredients). To ensure a healthy meal plan, pick a good variety of foods from each food group (fruits, veggies, grains, protein foods, dairy foods, and healthy fats). Be sure to choose at least one protein food (and at least one fruit or vegetable) at each meal. There are numerous health and wellness benefits you can reap if you decide to go vegetarian, such as a lower body weight and reduced disease risks. 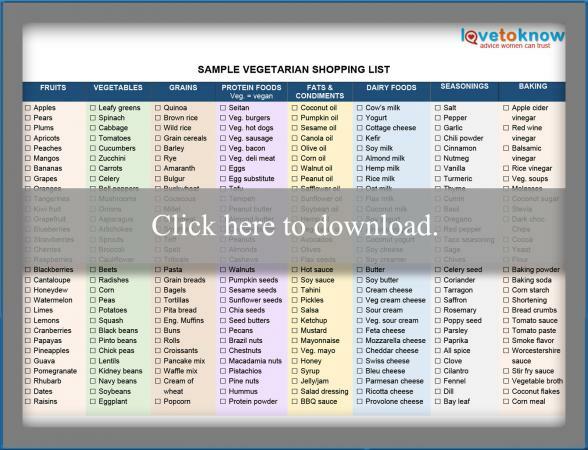 Creating your own vegetarian shopping list based on food preferences will get you headed in the right direction.